The patch notes are 13 pages long. 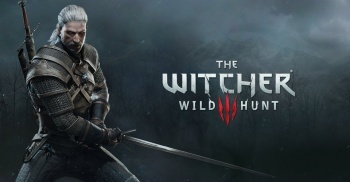 Huge patches are nothing new for CD Projekt Red's sprawling RPG The Witcher 3: Wild Hunt, and often include everything from minor refinements to UI adjustments. The newest patch, titled Patch 1.10, has over 600 fixes and takes up 13 pages. According to Community Lead and Website Coordinator Marcin Momot, the patch is rolling out today. In July, Momot said that CD Projekt Red was paying "very close attention" to player feedback, and that the company was planning on addressing complaints about the rather stale Triss romance arc by working on tweaks to dialogue. The new patch includes three different tweaks: Adds new romanceÂ­ related segments in conversations with Triss and Yen in quest titled The Sunstone, adds segments to conversation with Triss in quest titled On Thin Ice, and adds segments to conversations with Triss and Yen before battle at Kaer Morhen. Not big adjustments, but any more Triss content works for me. In addition, the extensive patch notes reveal loads of quest corrections, performance adjustments, fixes, improvements, and inventory tweaks. Momot has revealed that Patch 1.10 will be roughly 15GB on consoles, and between 6-15gb on PC (depending on platform). In other news, the game's first expansion, Hearts of Stone, releases on October 13, and will feature "over 10 hours of new adventures and introduces new characters, powerful monsters, unique romance, and a brand new storyline shaped by gamer choices."